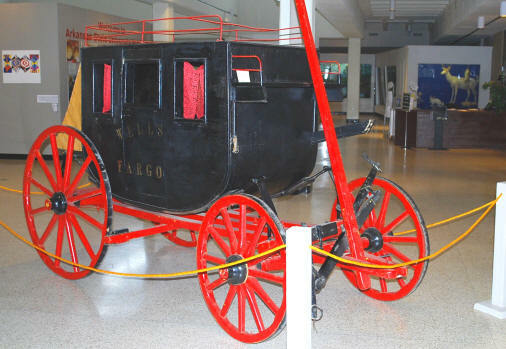 Feb. 26, 2009 -- The ASU Museum's stagecoach will provide a vehicle by which youngsters can travel back in time and explore the history of this region when the Museum launches HiStory Time, Saturday, March 7, at 2 p.m. By reading a different history-based children's story each month and viewing the objects on exhibition, children can learn about the history that happened here, in their hometown. The ASU Museum is located at 110 Cooley Drive, Jonesboro. Every session will feature a hands-on activity, including songs, games, and crafts, that will vary according to the story. Children from ages 2-8 are invited, and adults are asked to remain for the session. For details, contact Lenore Shoults (lshoults@astate.edu), at (870) 972-2074, or visit the ASU Museum online at http://museum.astate.edu.